After a few years of thinking we should grow this crop again… it actually happened this year! This forgotten crop was once a staple on this farm. 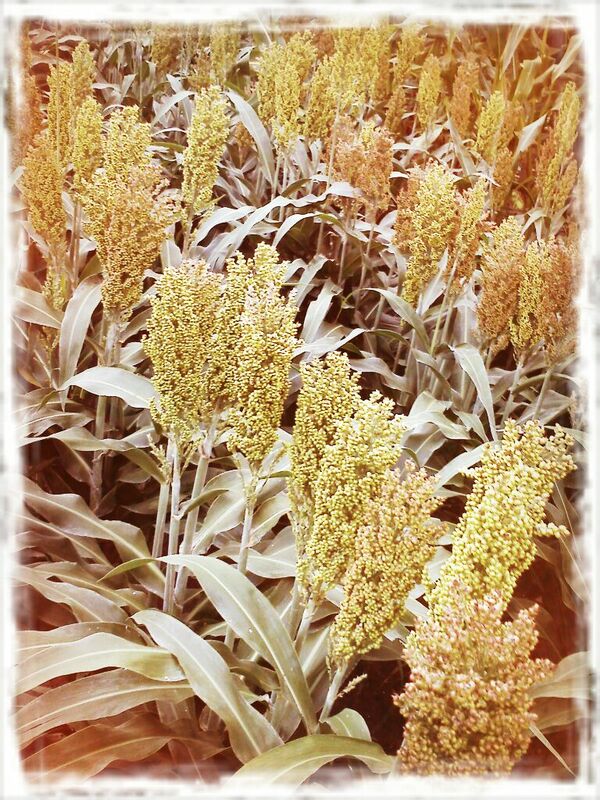 The toughness of this plant combined with its value as a livestock feed made it a popular choice in years past. The farmland in Nebraska that was once planted to this commodity have since been overtaken with improved corn hybrids. Even though this crop has been pushed aside in most producers’ minds, we wanted to resurrect it on our farm. We saw potential in it as a fall decorative crop to pair with our heirloom pumpkins. 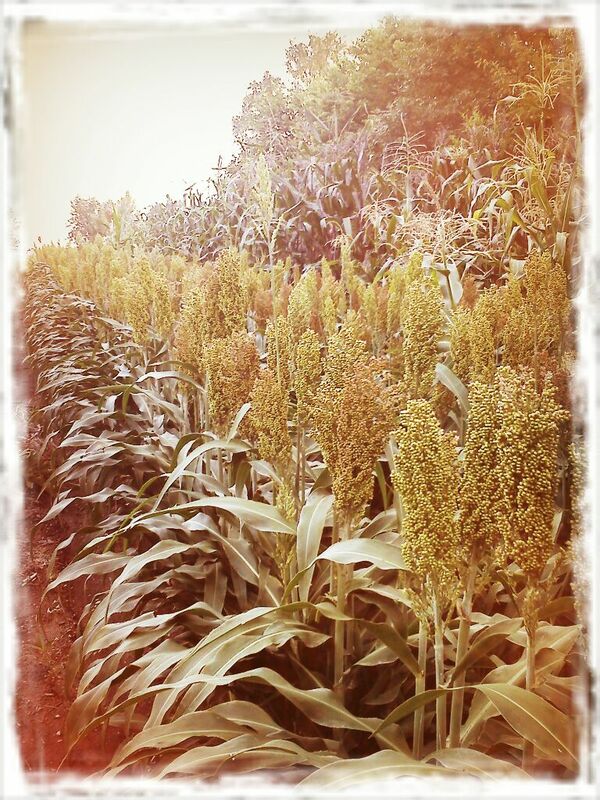 These beautiful milo seed heads will turn a rich reddish brown once ripe. Watch for it at our fall markets! We will be featuring our milo bundled in shocks for your outdoor decor. And the best part? The berries double as a food source for the song birds in your yard!